Rexall Pharma Plus has a hot new Air Miles coupon to celebrate Father's Day! 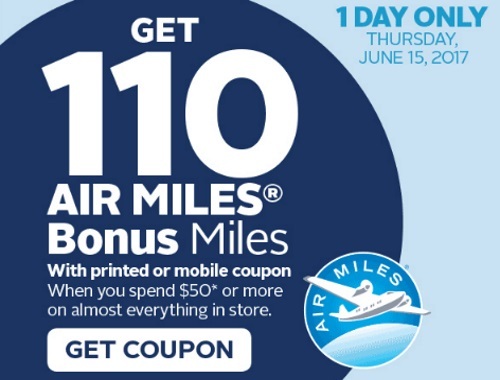 For one day only get 110 Air Miles Bonus Miles when you spend $50 or more on almost everything in the store! Offer available with the coupon below only this Thursday, June 15, 2017.